It’s a random Thursday and I can’t think of anything to blog about. Is this it? Am I done? Have I completely run out of ideas and stories to blog about? Why is no one is reading my posts? And if they are reading WHY aren’t they commenting?? Should I quit??? If you have been blogging for any amount of time (6 days, 6 weeks, 6 months, 6 years, etc) then you have probably had one or more of these thoughts fly through your head at some point. I think everyone starts blogging with the intention of never stopping. Most people think it’s easy. Easy to do, easy to make money, easy easy easy! But it’s not. Blogging takes a whole lot of work and anyone who doesn’t blog just doesn’t get it. Each post has to be carefully planned out, written, edited, photos takes, photos edited, everything put together, links added, testing all those links to make sure everything works, and then publishing your post! But it’s not done yet! Now that your post is live you have to promote it. I usually schedule 5-6 tweets per post per day, 2 Facebook post, 1 IG post, pin all images to Pinterest, make an IG story about the post during the day and so on and so forth. Blogging is not for the faint of heart either. You are literally sharing your life for the world to see, judge and comment on. And they do. People can be so mean when they sit behind a computer and comment on your life and tell you that everything you are doing is wrong. So with all of this being said you can see why sometimes bloggers get in a rut. You can call it a rut, writer’s block, whatever you want but it happens to all of us. Maybe the ideas really have stopped coming or maybe you just need a break. Either way today I am here to tell you that you are not alone and maybe help you get yourself out of your blogging rut!! ONE. Remember why you started blogging in the first place. I started blogging almost 7 years ago and since then blogging has changed a LOT. Back then people used their blog as more of an online journal and told stored about their lives. It was super fun reading blogs back then and I remember just writing posts about what I did that day, what I ate for lunch, what I had planned to do for the weekend, etc. Blogging wasn’t so serious and you didn’t really have to plan anything, you just went by the seat of your pants and wrote about whatever was on your mind at the time. I made a lot of friends that way and it was way more personal. So if you get in a rut try and remember why you started blogging. Was it to tell stories about your family? Tell some stories! Was it to share photos of your family with your friends? Share some photos! Was it to make more friends? Go find some new blogs to read and make friends and get inspired by them! Personally, when I get in a rut I start blogging about my daily life and what I’ve been up to. I love going back and reading those posts and they bring back such good memories! TWO. Think about the types of posts you like to read. Whatever posts you like to read is what you are interested in so why not blog about that? I find inspiration all over the place and sometimes just reading other blog posts makes me want to write! THREE. Get on Google Analytics. Get on your Google Analytics and figure out what brings people to your blog. From there you can also see what posts are your best ones and try to feed off of that. People are getting to blog by Googling “pumpkin spice coffee creamer“?? Then write more about pumpkin spice everything and link back to that page! Sometimes just seeing what brings people to your page will inspire you to write more about those items in different ways. But if looking at the number stresses you out then don’t do it. It’s not worth the stress. FOUR. Search Pinterest for ideas. Pinterest is a bloggers best friend and a wealth of information. I get tons of traffic to my blog from Pinterest but I also get lots of great blog ideas from there too. Just search “blog post ideas” and there be zillions of ideas/blogging prompts at your fingertips. FIVE. Find a new place to blog. 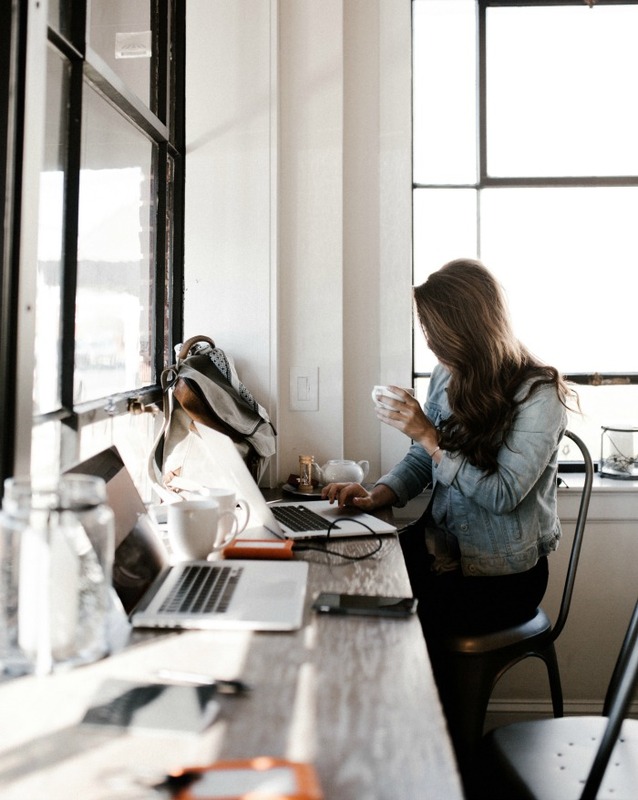 Maybe wherever you are doing your actual blogging from is super distracting? I used to write all of my blog posts from the Starbucks by my house. I would take one day out of the week, set up shop in there and write all of my blog posts for the week. It only took a couple of hours out of my day and I was sooooo productive that way!! Now I blog from my couch with my dog wanting to play with me and the tv blaring in the background and I’m way less productive, guess I need to take my own advice and get out of the house to get my blog work done! Just changing up the lateral spot where you write from can make a world of difference. SIX. Go to a Blog Conference. Nothing gets me fired up about blogging like attending a blog conference. I love to go network, talk to other bloggers about blogging and it really makes me want to blog even more! Conferences are also a great place to meet new bloggers or reconnect with old blogging friends. Plus, then you can blog about the conference! WIN! SEVEN. Take a break. Sometimes you just need to take a break from it all. That doesn’t mean you have to go anywhere or do anything just step away from your computer and concentrate on your daily life. Remember blogging is about QUALITY not QUANTITY and it’s better to take a break and not post anything than to post a bunch of crap posts just to do it. I have taken many blogging breaks and I always come back refreshed and ready to go! And there you have it…my seven ways to get out of a blogging rut. If you are going though a blog rut/writer’s block I hope this helped! I also hope you can find your inspiration and ate able to work through it! Remember, you’ve got this!! Have you ever experienced being in a blog rut?? How did you work through it?? I can only imagine the pressure after having a viral post!! Congrats to you, I saw that video and it was awesome!!! It’s so easy to get into a rut and so hard to get out of it. I like to find lists of topics and then pick things I would like to write about and then go from there. These are great reminders! Yes, I get into a blog rut at times but I do remind myself that I’m doing it because I love to write. When I don’t have anything to write about, I tell myself I don’t HAVE to post. I need to check out Google Analytics more often and see what posts bring people to my blog. Great ideas… I think a lot of people think that blogging is “easy”. It IS fun but any job can be fun if you are doing what you love BUT that doesn’t make it easy. I am still trying to work on the google analytics part! Great tips for getting out of a blog rut AND switching things up a bit. I’m trying to make the transition from so many sponsored posts to more original content and it really is challenging at times. Thanks Ricci. I was getting stuck and in a rut this past spring. Wondering if it was all worth my time. Hubby took me to Ireland, England and Iceland for 3 weeks. Came back full of energy and ready to go to work. I think we all could use this post at times! When I get in a rut, I try to remember why I started blogging to help sort of rekindle my enjoyment of it. I absolutely love this post! I have suffered many a blog rut during my blogging career! This is so helpful. What an awesome post. You have hit it right on the head. So many think blogging is easy, or not even a “real job,” but it’s hard to go through a rut, when you know that it’s something you love! I totally enjoyed this post. Thanks for being the voice of us bloggers! 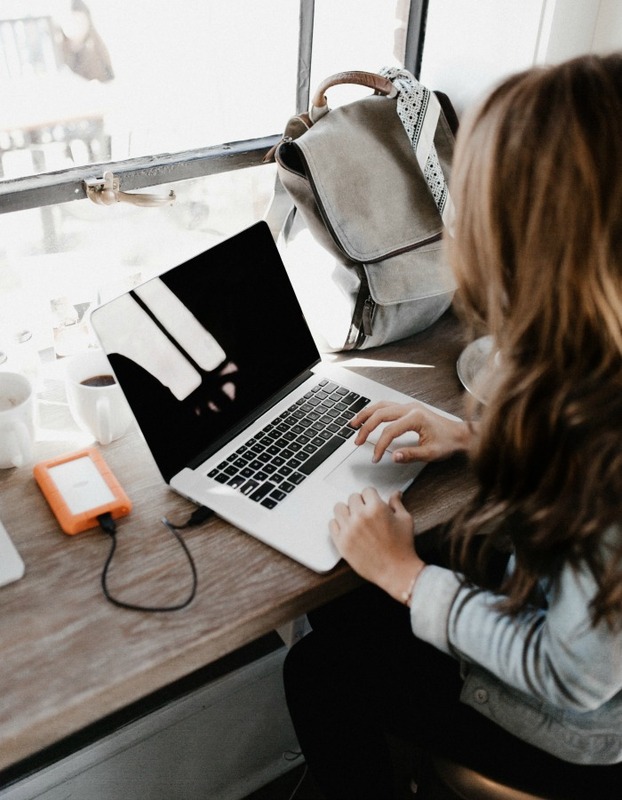 Blogging is not easy, it amazes me people think it is all sunshine and rainbows when it isn’t and when you get stuck in that rut it can be so hard to think of a way out, these are some awesome tips however and I am going to keep them in mind for next time I get stuck in a rut. These are great tips. I have been blogging a long time, and I definitely gone through a lot of ruts. One being very recently. 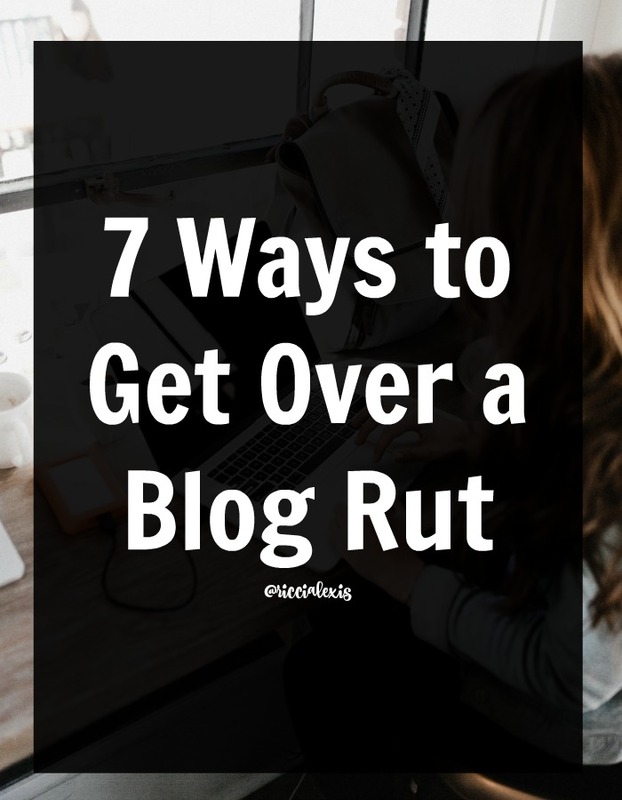 All the bloggers I know have been in a rut before. It’s so much more work than people think it is. I have never had a blogging rut! I always have more than I need to write about. My problem is that I have no time to write it all! Good for you!! Sometimes I feel like that and I love that “never-ending blog topics” feeling but then some days I can’t think of a word to say. I’ve also been blogging for almost 7 years so I guess a rut (or many ruts) are to be expected. Wow this post is so timely for me! I’ve been blogging for a while now while working fulltime and being a single mom. It was supposed to be a hobby since I closed my baking business but now I want it to be a real success. Now to find the time to make it happen! Finding a new place to blog might help me a lot when I’m struggling. My daughter likes to go to coffee shops when she’s writing. Blogging really is a lot of work and it’s not easy at all! I really like your tips and have to remember to search Pinterest for ideas. I’ve lost track in how many breaks I’ve taken in the almost three years that I have been blogging. I check Pinterest all the time for ideas and motivation. I have taken more breaks that I care to count which in turn has keep my page views at a non existent level. Sometimes just switching things around on my blog theme helps inspire me again. It’s definitely a lot of work as you mentioned and my blog is a one woman show so I try to do the best I can by myself. Blogging ruts are the worst! I try to change things up when I get into a rut.